The ability to capture energy from chilling that can be used in free process and free space conditioning. Operational savings, including lower electrical demand, as the modular design allows the operator to control the number of units needed during load fluctuations. Less installation space required than industry standard chillers. The modular design makes it simple for future expansion - just add another Kube at low cost. When compared to adding another 200 ton unit, high capital costs and redesign might not be feasible. 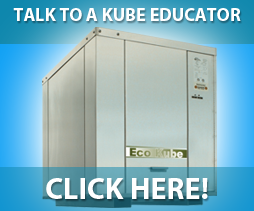 Less service start-up costs and annual maintenance expenses as the Chiller Kube system is a simple solution that owners can easily operate through remote desktop software. 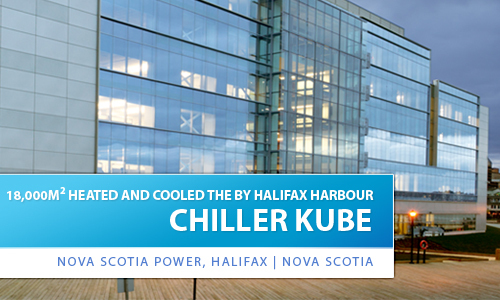 Minimal repairs, as the Chiller Kube has very few moving parts when compared with larger chiller systems. If a Kube does need repair, simply turn on another Kube. If a 200 ton system needs repair, the entire system is shut down. An engineering department that is available to the mechanical design team to assist in the chiller design of any facility.